The Steamtoy Forum members are holding their annual show, on Saturday, Sept 6th. Last year, we had a visit from an Invicta steam roller. This year, a newly rebuilt, Foden steam lorry is promised. Lots of smaller engines on show. From toys, through to the larger "Stuart" types. Bring an engine! We'll find some table space. 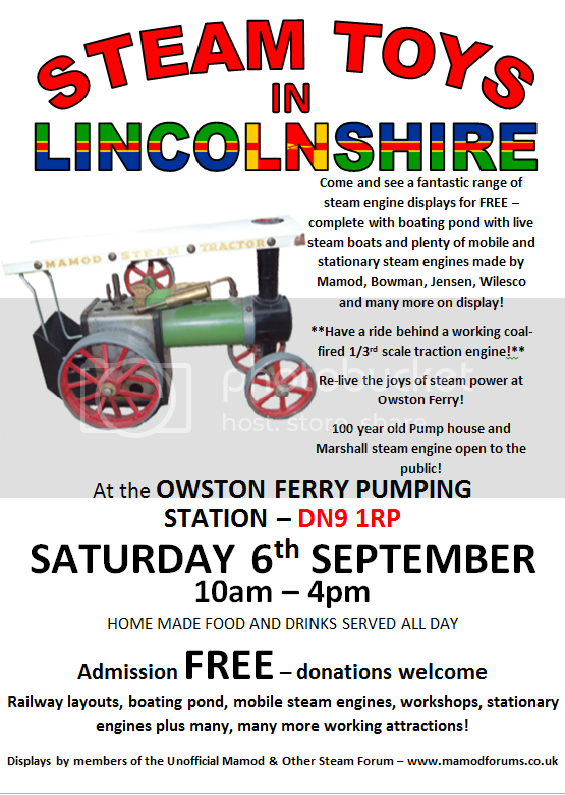 I will be there this time I am exhibiting a few engines not many but I intend to have a jolly good steam up with my forum mates. It's been a while. Looking forward to a great day.